Lita’s Discussion Time: Spoiler Or Spoiler Free? All my writing is in green lately probably will be for a while I reckon, Welcome to another discussion which the last one I did was back in November click here to read. For this discussion has been one I’ve wanted to do for a really long time now but thinking of the right time to do, thought HEY why not now. The image above of Tamaki (a fine example) up above shows of how we feel when we may be reading or watching a review on an anime, and realize it has spoilers without any indication anywhere that there would be any in there. Relating to this I certainly can has happened once thank god I stopped reading the review instantly. I don’t feel noone has really discussed of when it comes to giving spoiler or spoiler free reviews on anything but this case I’m talking more about in anime. I thank Bobsamurai Anime reviews for shedding some light on what a spoiler is feel free to watch on Bob’s opinion about spoilers. Spoiler is as Bob’s said is any crucial plot twist or part that will occur in anything. Now I’ not trying to make people feel dumb by addressing what a spoiler is but Bob’s video just simplifies all in a basic way. Many YouTube reviewers and bloggers are all different when it comes to reviewing anything, some like to go in depth talk about their full opinion. Others prefer to respect their audiences and leave crucial parts about anything and give a basic outlook on the likes, dislikes of the anime. The majority of youtubers I follow, bloggers I have interacted with keep their reviews spoiler free which is what I Lita like to do as well. Doing spoiler free reviews sure you are keeping audiences happy with not revealing anything crucial but at the same time holding back your real opinion on many aspects. Spoiler free is what I decided when I started doing reviews, as I feel it’s not fair to spoil it for other people by revealing everything. I’m satisfied with how I do my reviews from reading or watching reviews done by others, learning from them. Through all of that I’ve found a way I am happy to do my reviews which is why doing spoiler free reviews sits well with me. This is my personal choice to spoiler free reviews but there are others out there who don’t care about spoilers and will let out their full opinion. Nothing wrong with that you’re your own being can do what you want but my argument with this is if you do spoiler reviews just mention that somewhereis all, it’s just polite in my opinion. Spoiler free I feel wins more in this equation of things as most reviewers do not wish to reveal anything crucial in anime/manga whatever. Trying to do a spoiler free review without revealing anything I’ve found challenging at times but you have that voice in the back of your head saying DON’T REVEAL ANYTHING !!! Do you prefer spoiler free or spoiler reviews? I am most curious as to what people think about this, everyone is different, own individual tastes. Do you enjoy reading or watching spoiler free reviews? Are you a reviewer which way do you like doing it? I’m fine with both type of reviews to be honest either be reading them, or writing them. Usually in the reviews with spoilers I could skip to the final paragraph where I get a general idea of what the reviewer liked, or disliked. So long the writer places a warning for spoilers in the beginning of the review it doesn’t bother me how they decide to go about what they’re writing about. It does when I begin reading a review, and then suddenly get a warning telling me of a spoiler. As a reader, this ruins the flow of the review for me, and then have to carefully navigate to make sure I don’t read that specific spoiler if the writer does not place anything that tells me where the spoiler begins, and end. I would prefer if the writer does write a non-spoiler review, but has a complaint about certain specifics plot points, or characters that they put at the end of it. Something like a footnote to discuss that sort of things. In general, I mostly read spoiler free reviews since a majority of writers I read, or know prefer to write their stuff that way. This also applies to video reviews too. I’m okay with this, but sadly a majority of the time when a review does include spoilers most of the writers I read from don’t use that freedom for any greater purpose. When I wrote about Kellan Lutz’s The Legend of Hercules I incorporated to the best of my abilities jokes, criticism on the film, and made it entertaining as much as possible. This way, me expressing my hatred on the film wouldn’t be boring, and allow me to express a different side of myself to my readers. It also gives me the opportunity to add variety in how I write reviews since I usually go for a serious discussion so the occasional humor centered reviews are a breath of fresh air both readers, and myself. However, the few times I have seen spoiler reviews utilize properly are to few in numbers from what I read. In one occasion, one even flat out stole jokes from me. So, from my position, the people I follow should do much more with that level of freedom. On a unrelated note, I started seeing Princess Tutu for the first time starting this year. More accurately, decided to see it earlier than planned after reading your “Xmas Special: Magical Anime To Watch These Holidays” blog post. I’m only 6 episodes in, and so far it hasn’t failed to get me. It speaks volumes to me when something like Princess Tutu which has nothing that personally appeals to me has my full attention, and smiling throughout for having a good time seeing it. It’s been so long since I felt confident in a anime series where I can simply enjoy watching it, and know for certain it under good hands. Though, if the stats on myanimelist are any indication I wish more viewers would see it, and experience the magic of Princess Tutu like other popular animes. I try to write spoiler free reviews as most people get upset if a potential surprise is ruined. What someone considers a spoiler however varies from person to person. On a couple of occasions I have had people moan that I gave something away, even if it was a minor thing that happened in the first episode. Some shows/movies are very hard to discuss without spoilers. How can you cover something like School Live were the big twist happens in episode one? When reviewing Madoka Magica: Rebellion, despite keeping things vague, I put up a spoiler warning as the ending was the thing that influenced my score the most. Yeah, I agree. In the case of shows that kick off with twists, either sectioning off the spoilers or merely writing (SPOILERS) in the header is enough to halt cautious readers. I suppose another way to put it is, “My Thoughts on Rebellion,” or something like that which allows everyone to know (or at least I think so) that you will be pulling apart the things you liked and disliked about the film. But what do I prefer? Spoiler free for me! I really try to write spoiler-free reviews, but you’re right–it’s really, really hard. And the fact is that there are some times when you can’t actually say much of anything about a series, give any legitimate reasons for your liking it, without spoiling some things. Challenging, however you look at it. It depends on the kind of review really. If you write a review with the intent of helping the reader decide on to watch a series or not, then you do not implement any spoilers. If you wan to discuss the series as a whole or analyze a particular aspect then the review must have spoilers if you want to get all the info through to the reader. Besides, most of the time, only people who have already read or watched a series will read an analysis. I like both but I usually favor spoiler free reviews. I prefer making my own spoiler free reviews so I don’t give away the story and still keep readers informed. However, I also like spoiler reviews so I can join discussions on something I have seen. If it’s a review, then it follows that it’s spoiler free. One can say the story is beautiful, the graphics is fantastic, etc. 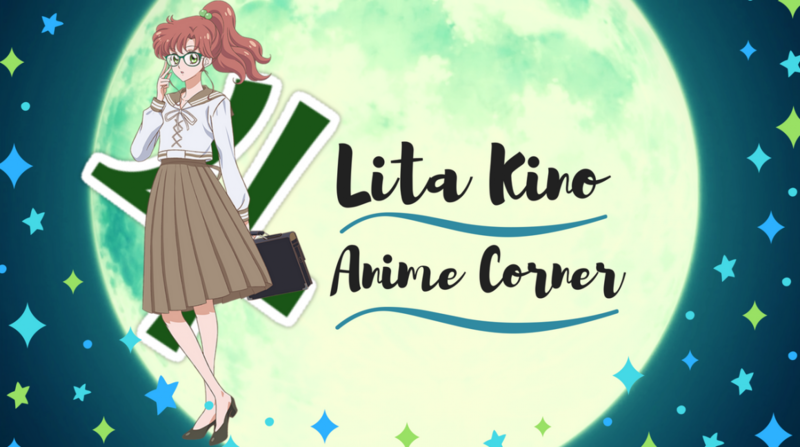 I just created a new anime/manga blogsite ( 2 posts now ) , but gave a warning that I don’t shy away from spoilers. It ‘s a discussion of the anime and manga plotline , and therefore full of spoilers, almost a blow by blow account of what is happening or what is about to happen in the story. I want it to be some sort of discussion forum of specific anime or manga.. In other words, those who don’t like to be spoiled should tread lightly on my blogsite, because I hope to make it a colorful discussion of animes/manga, and if a reader hasn’t seen or read it, better watch the anime or read the manga , pronto, and then jump in and join the melee. I prefer spoiler free reviews, although I’ll admit that I’ve don’t have much of a problem with somebody putting a spoiler in a review. I do like to know about events that might happen in an anime or manga even if they completely change the complexion of the story but I’d prefer to be kept in the dark about how it changes the story.